Want to lose hundreds of thousands of pounds in 280 characters or less? Katie Hopkins shows us how. The columnist and controversialist Katie Hopkins has been ordered to pay £24,000 in libel damages plus £107,000 costs to food blogger Jack Monroe in respect of two tweets libelling Monroe posted to Twitter on 18 May 2015. However, the £107,000 is on account of costs. Hopkins will have to make a further payment when the detailed assessment of Monroe's costs has been concluded. High Court libel trials are not cheap, so that £107,000 could easily rise to nearer £300,000. On top of those sums, Hopkins will, of course, also have to pay her own lawyers. It is unlikely she will emerge with much change from half a million pounds. The judge held that defacing war memorials is generally considered to be obnoxious behaviour which is strongly disapproved of. Wrongfully accusing someone of condoning it is therefore defamatory. Nor did Hopkins attempt to argue her claim was true. Indeed, it seems fairly clear that her initial tweet stemmed from her confusing Jack Monroe with Laurie Penny of the New Statesman who had tweeted some days earlier regarding the defacing of the memorial. Rather than accepting the offer, Hopkins responded with a second tweet, which has also been ruled defamatory of Monroe. The case shows with horrible clarity exactly how her intransigence backfired spectacularly. [T]his is a conversational medium; so it would be wrong to engage in elaborate analysis of a 140 character tweet; that an impressionistic approach is much more fitting and appropriate to the medium; but that this impressionistic approach must take account of the whole tweet and the context in which the ordinary reasonable reader would read that tweet. "The context" includes both general knowledge and other material appearing on Twitter, but the latter has to be qualified to reflect the fast moving nature of Twitter, and that tweets from "days beforehand" (such as the Laurie Penny comments) should not be assumed to be in the minds of people confronted with potentially defamatory material. The judge observed that the costs of the case "have largely been incurred in contesting the issue of whether a statement which on its face had a defamatory tendency had actually caused serious harm." Paragraph 71 goes to the heart of his analysis of the harm issue. It should be required reading for anyone advising in relation to defamation on social media. Hopkins' legal team seem to have found themselves, somewhat desperately, putting forward a case that Twitter is an environment which inherently lacks credibility and comments made using it are not taken seriously. Indeed, the level of desperation was highlighted when Hopkins' barrister, cross-examining Munroe, advanced the proposition that his own client was widely known to be a "rentagob". Furthermore, her team argued that Hopkins' followers and Monroe's had almost no overlap, so each was only really tweeting to a echo chamber who broadly shared their own opinions and prejudices. Effectively, they claimed, Hopkins making an untrue statement about Monroe to her own followers could not make their opinion of Monroe any worse than it already was. In Mr Justice Warby's judgment, all these assertions are examined and dismissed. "Twitter is the “Wild West” of social media, and not as authoritative as (for instance) The Sun or the Daily Mail, which are established institutions, subject to regulation, that employ lawyers to check copy." Such a finding would have delighted social media trolls everywhere. However, Mr Justice Warby considered this argument had no merit. He noted that Ms Hopkins' profile stated she was a columnist for the Sun. There was no good reason to suppose her comments would be afforded less credence when she chose Twitter to publish them rather than her other platform. The moral is obvious. Twitter can have the reach of mainstream media, so libel on Twitter needs to be treated with equal seriousness. 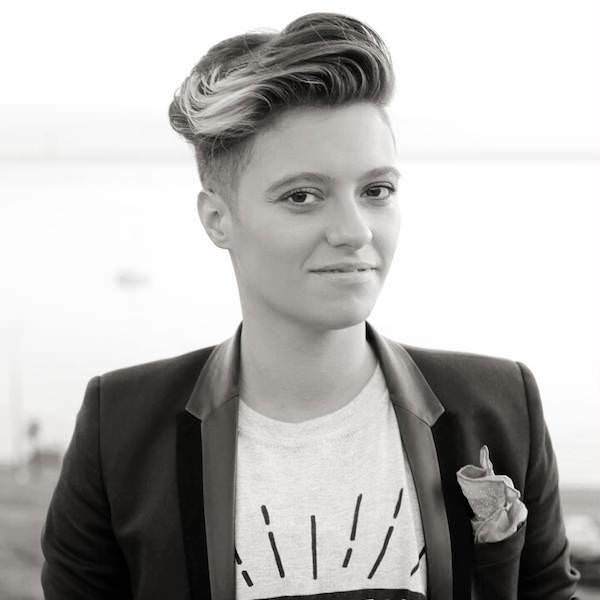 The main image used for this article is: 'Jack Monroe by Fox Fisher' and was used under the terms detailed at the above link on the date this article was first published.